An altogether human Ariel from the Disney feature classic The Little Mermaid is adrift with her prince in this heartfelt design from the unique artistry of Jim Shore. 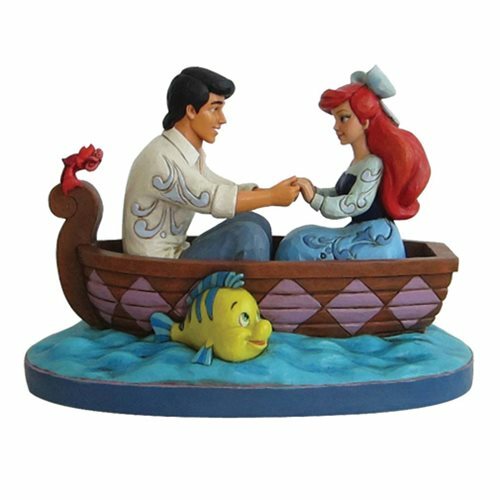 The Disney Traditions The Little Mermaid Waiting For A Kiss Ariel and Prince Eric Statue by Jim Shore is made of stone resin. Measures about 8 1/2-inches long x 6 1/8-inches tall x 4 1/2-inches wide. Ages 13 and up.